1-Wire is a device communications bus system designed by Dallas Semiconductor Corp., providing low-speed data, signaling, and power over a single conductor. The standard defines both physical layer and software protocol. The communication is in master/slave mode. UniPi controller acts as a master and sensors as slaves. Each sensor has unique HW ID, via which the master can address them. 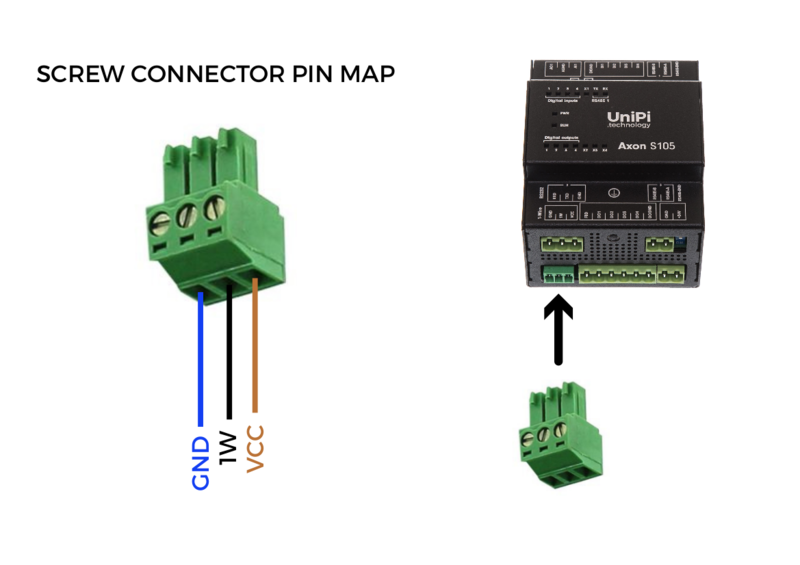 The UniPi controllers use 3 or 4 wire connections for a better stability, especially with larger network. You can connect up to 15 devices on one bus up to 200m long. UniPi Neuron is equipped with RJ45 socket for connecting 1-Wire devices. The pinout for connector is as follows. The UniPi Axon controllers are equipped with pluggable screw terminal for 1-Wire. 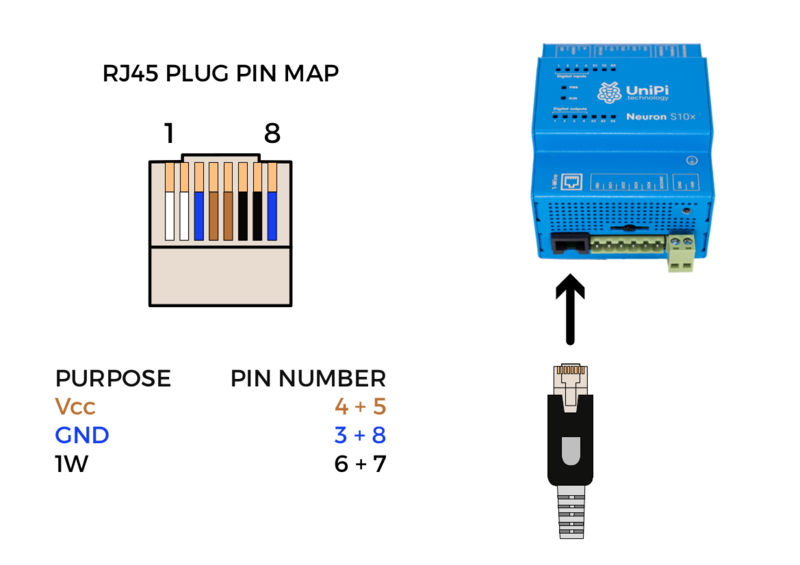 The pinout of this connector is as follows and you can check our wiring guidelines.